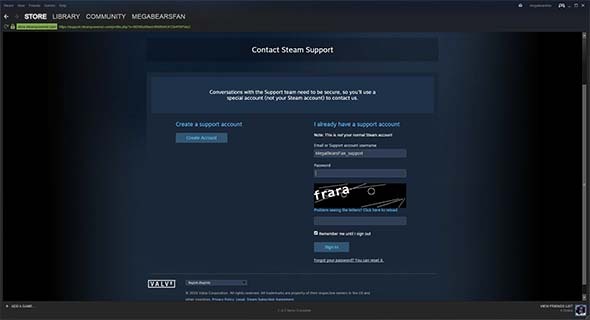 So bottom line: if you are having issues with creating or accessing a Steam Support account, you're not alone. If you're waiting for validation or password reset emails that simply never show up, it's probably because your provider is blocking them. Chichian's Steam Support emails were blocked by Hotmail and Yahoo. Mine was blocked by AOL. It appears that gmail does not block Steam Support though. We were both able to receive the emails when we created an account using gmail. So if you are having issues, I recommend using a gmail address to create your Steam Support account. It will save you some confusion and frustration.